We’re crazy about openness in our house right now. We’ve had walls taken down, turned two medicine cabinets into open shelving, turned a cabinet into open shelving on the end of our island, and now we’ve added some decor-holding open shelving on the end of our kitchen upper cabinets! 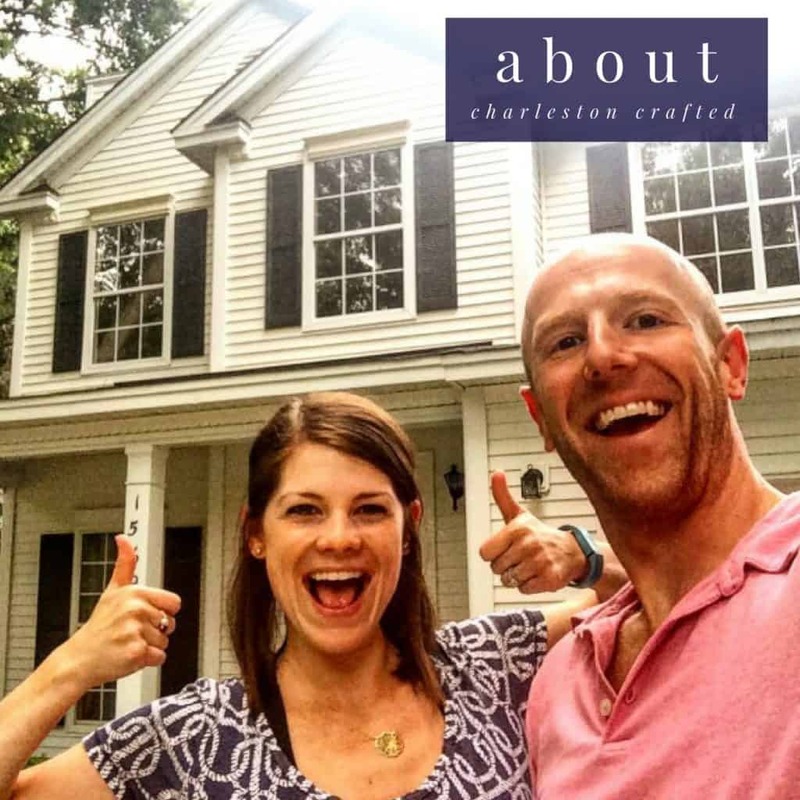 You may have seen us live on Facebook when we did this project, but here’s the final product. 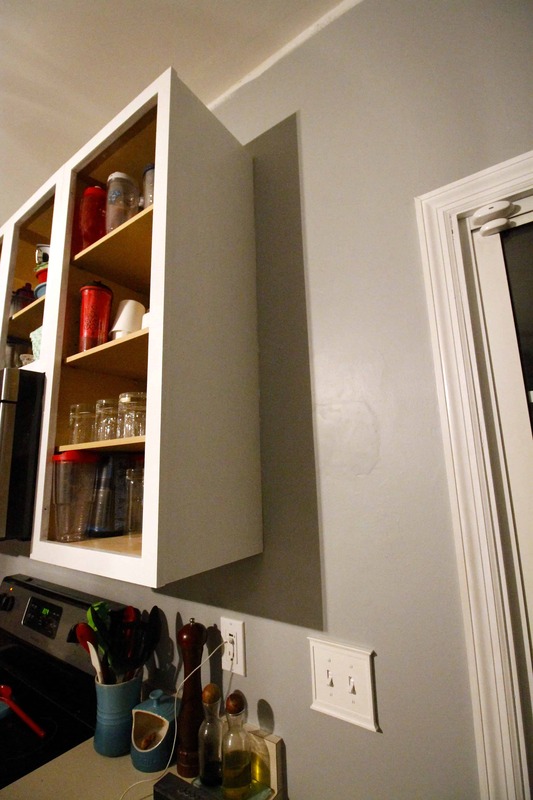 When we extended the lower cabinets on the wall with this DIY tilt-out trash can, the cabinets no longer lined up. We needed something to make the upper cabinets look more complete. We settle on adding some open shelving to display decor. I love the idea of open shelving in a kitchen but could never commit to giving up my upper cabinets. This was a great compromise! We thought at first that we would get a round, flat piece of wood and cut it into quarters to attach to the wall. 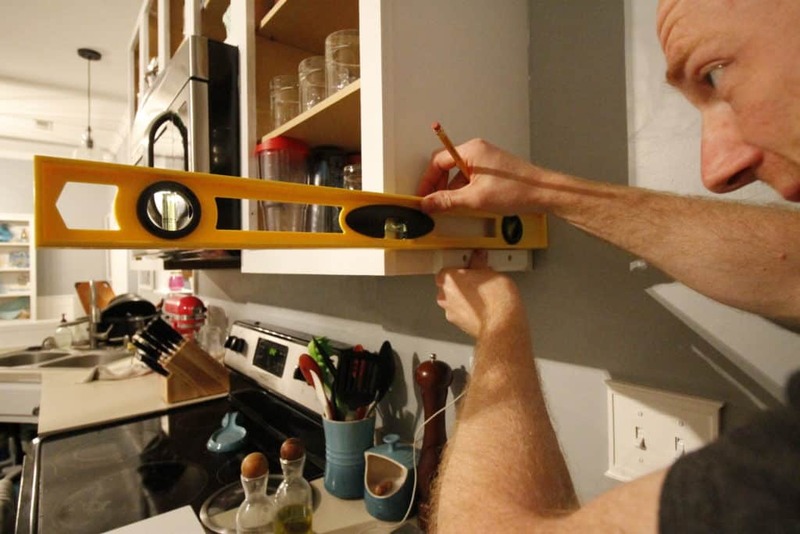 We love DIY projects and this didn’t seem particularly difficult. After going to Lowe’s and seeing how much that would cost, plus what we would need to bracket it and the labor time it was going to take us to cut, paint and hang those, we walked around a bit more until we found these for only $10 each and said #worthit. Sometimes, it makes so much more sense to buy something than DIY it from scratch. 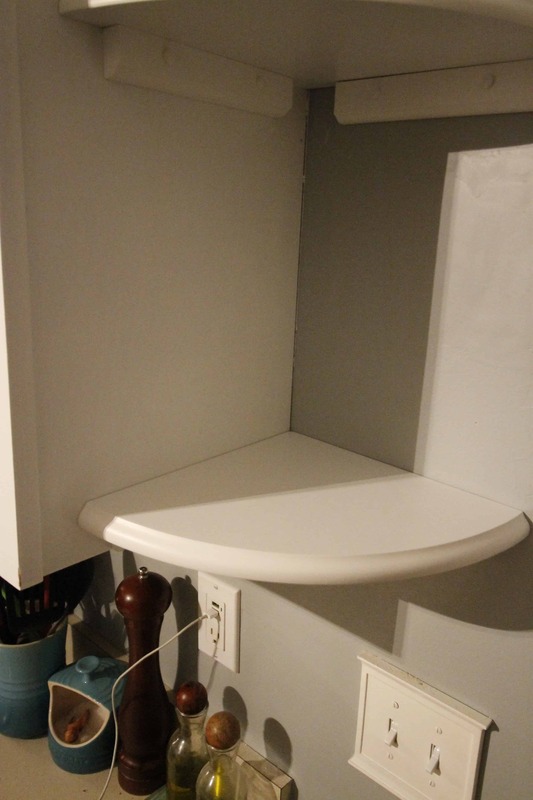 These corner shelves are super easy to install. 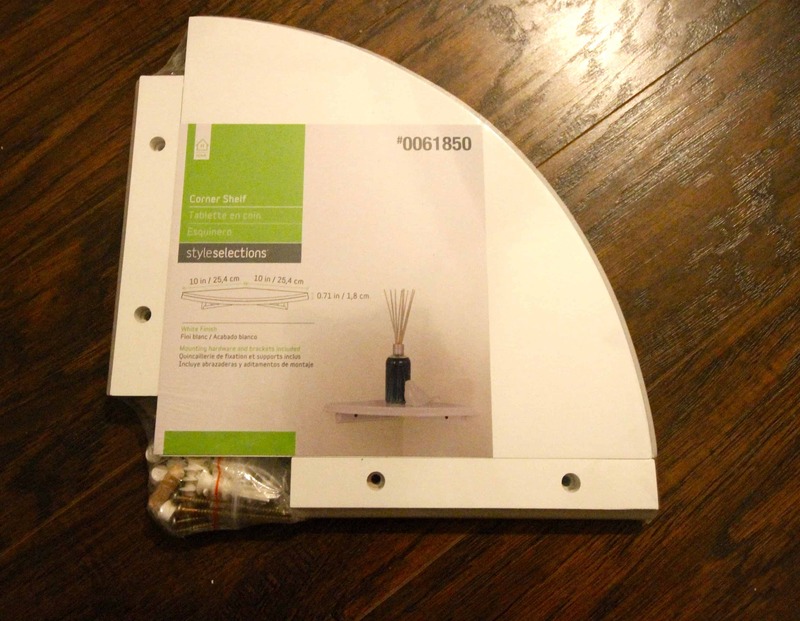 You use the hardware they come with to attach two brackets level to the two sides of the corner and then attach the shelf with the dowels it comes with. Each one takes about five minutes to install. I also love that they have a little decorative detail on the edge. Another thing that made it make sense to buy instead of DIY! We decorated them with some blue items to tie to our color scheme in the other rooms and added beautiful fresh picked flowers to bring that pop of color. 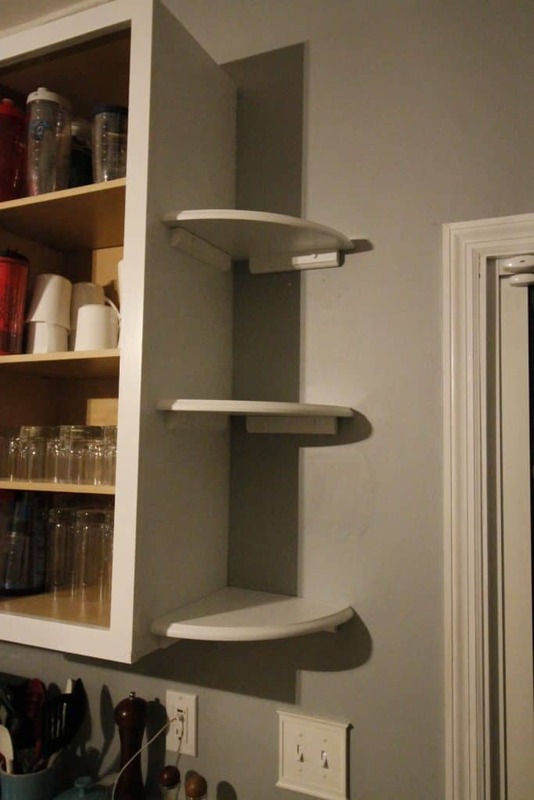 In general, you want to decorate open kitchen shelves with attractive things. This is not the place for mismatched tupperware! That’s why I love these small wound shelves – we get that open shelf look without losing the convenience of hidden cabinet storage. 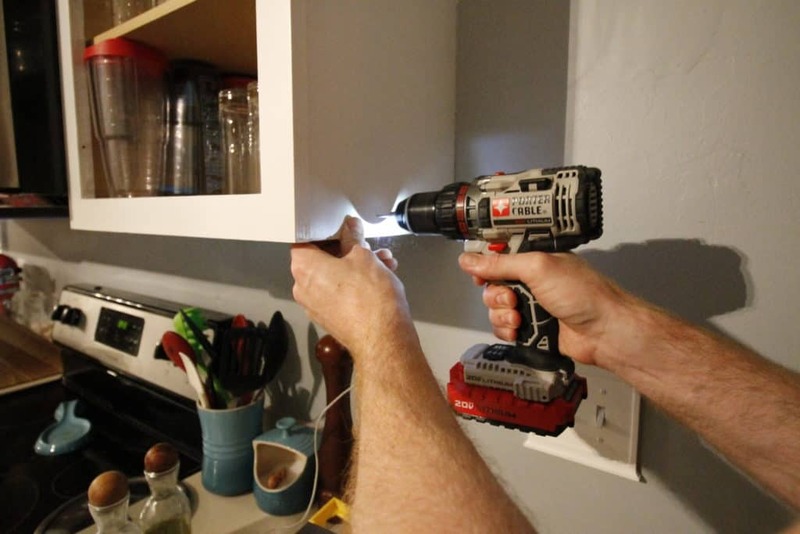 If you wanted the shelves to have more of a floating look, you could paint the part that is on the wall your wall color. I liked the overall white look, but wanted to lay this out as an option for you. Be sure to check out our whole DIY coastal kitchen makeover! 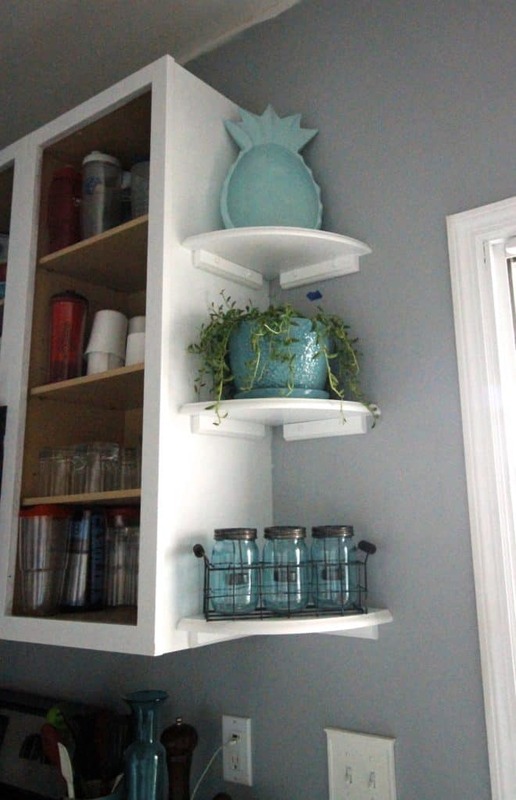 Looking for more DIY shelving ideas? Our kitchen is coming along! 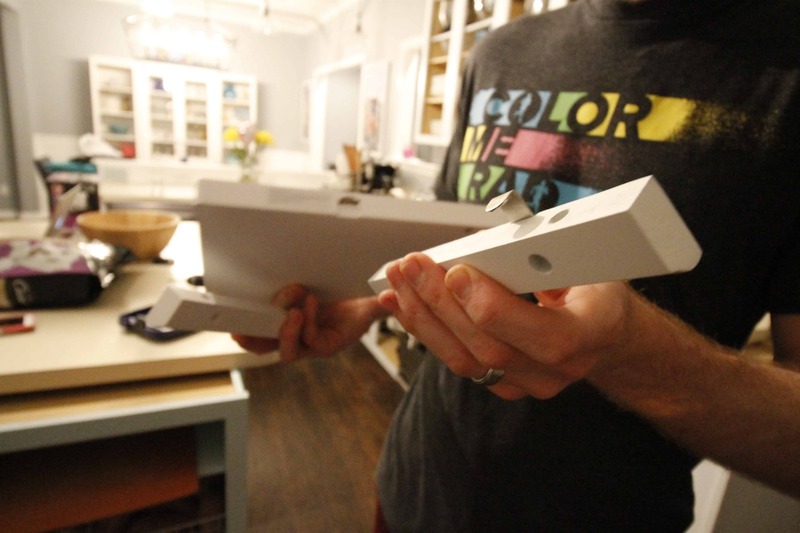 Click here for a full tour of our kitchen before, during, and after the DIY renovation.